One of the highlights of the seventh issue of Your Heart Out, the cheerily titled The Archaeology of An Abandoned Soul Single, was the piece by our comrade PC, David Goodis fan and curator of the excellent Bollywood blog Music From The Third Floor, on the Norwegian ska/post-punk outfit, The Aller Værste! The story goes that PC added a track by TAV! to a mix he did of turn of the '80s post-punk/new pop treats, and I thought wow! Thinking I knew a thing or two about that era it was a real joy to discover something completely new from that time. PC made it possible to hear more of TAV! and it was a complete revelation. Time to revise the history books again comrades! So, with a bit of a ska theme going on in our latest issue, with the enlightenment that came as a result of the whole '79 mod/2-Tone thing, musically and politically, it seemed entirely appropriate to get PC to write about TAV! And he really came up trumps. Incidentally the track he put on that mix was Dans Til Musikken and it goes like this. Or to be more precise, Laurel Aitken's protest. One of the joys in putting together the eventh issue of Your Heart Out, the spikily titled The Archaeology of An Abandoned Soul Single, was being able to include the lyrics of Laurel's Run Powell Run. This wonderful song by the skinhead's saint is on his 1969-ish Scandal In A Brixton Market set, which you need to track down by hook or by crook. This song, Run Powell Run, is a fantastic response to the inflamma-tory rhetoric of the maverick right wing politician Enoch Powell, who was stirring up racial unrest. Now, 40 years on, in the UK there are European elections looming, and with public disgust whipped up into a frenzy against mainstream politicians there is a real risk the right wing BNP will benefit from 'protest' votes. So it's very timely to be referring to Laurel's protest, and it's surely time to sing out or speak out! It's certainly a good time to share this clip, probably from Horace Ove's 1971 Reggae film (and please if anyone has a copy I would dearly love to see it! ), of Millie Small singing her wonderful Enoch Power 'protest' with the performance prefaced by some of Powell's dangerous rhetoric. And Millie is awesome in this. The perfect response to racists. The second contribution we were fortunate to have for the seventh issue of Your Heart Out, the pithily titled The Archaeology of An Abandoned Soul Single, was from Phil Wilson of June Brides fame. It told the tale of how Phil was lucky enough to see the fantastic punk outfit The Users playing live, and how life would never be the same again. That set the scene nicely for the article which was ostensibly on The Users, embellished by some snappy quotes from Users guitarist Chris Free. Being YHO though it meandered onto other things, including Respond recording artists A Craze, which Chris would go on to be part of. Actually there's a nice little A Craze interview here, and a great track from their 12" for anyone unfamiliar with their Wearing My Jumper smash hit. Chris, himself, on reading Phil's words commented: "Hey I remember that gig - always wondered where on earth it was that we supported 'Out Demons Out' Edgar Broughton Band. True story: Night before that gig - Kevin Rowland (The Killjoys) stayed the night in his van in front of my mum and dad's house. Mum gave him tea and toast for breakfast - then he took us - The Users - and all our equipment to the Wisbech gig - and back again." Time for a slow dance. A very slow dance. The latest addition to the Your Heart Out library, the snappily titled The Archaeology of an Abandoned Soul Single, was great fun to put together because of the contributions that came in from comrades. I was particularly proud to be able to include the piece from (Back To Zero singer) Brian Kotz on the interface between the early days of the infamous 6Ts Rhythm & Soul Society in London and the mod renaissance in the summer of 1979. Seeing Brian's name mentioned in Ady Croasdell's sleevenotes for the Kent compilation In The Beginning which tells the tale of how the 6Ts thing got going, it occured to me there was a great story to be told about the '79 mod thing and how interest in the original mod sounds was piqued. Importantly this is a story that goes very much against the grain of media stereotyping, orthodox histories, and so on. Brian absolutely came up trumps for us. And it gives me another chance to say that back To Zero's Your Side Of Heaven is one of the all-time classic slices of beat noise. Coincidentally Brian got to sing it recently with members of the Purple Hearts at a Mods' Mayday event. He also sang Making Time with them. Speaking of which, at the same event, this special rendition of Eating Up The Cold was performed! Anyway in Brian's article for us he mentions that at the first 6Ts Rhythm & Soul event he attended there was a romantic interlude while a slow soul number was played, and partners were taken. Brian says it might have been Mitty Collier, and it might have been this number. Would you care to join me for this dance? The brand new (7th) edition of Your Heart Out is now available to be downloaded for free in our library. Entitled The Archaeology of an Abandoned Soul Single it's a wonderful romp that takes as a starting point a discarded 7" by Joe Curtis. The trails from this single take us via (Back To Zero's) Brian Kotz and his recollections of the start of the 6Ts Rhythm & Soul Society, then there are exclusive interviews with The Visitors and The Users, a look at Munich disco, Laurel Aitken's protest plus a great piece by our comrade PC on The Aller Vaerste! Then thanks to the Motown tapes captured on the cover we take a diversion that takes in the magnificent return of the Wild Swans and Nightingales. Over the next few weeks we'll be posting a series of entries here which will give an extra dimension to the articles, with hopefully some exclusives as well. It would be bad form to bid adieu to The Enormity of Small Things, the sixth issue of Your Heart Out, before paying homage to the genius of Deodato. And seeing as the weather is a bit on the grim side today, one needs little excuse to post a short mix of Deodato related sounds, and hey presto! The sun, it shines here! Trust me, this is a glorious selection of tracks, highlighting the wonderful arrangements Deodato was responsible for in the '60s into the '70s. So, here's The Spirit of Summer for you to download and dance to. 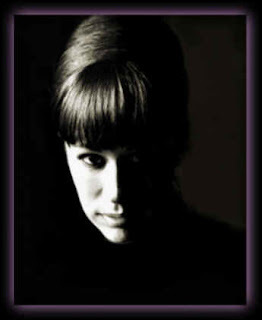 And if the mix shows a strong bias towards Astrud Gilberto, then I will not be apologising for that little indulgence! If anyone has read The Enormity of Small Things, the sixth issue of Your Heart Out, then hopefully their attention was grabbed by mention of a Vic Godard session recorded for Gary Crowley's show on Capital Radio back in 1986, which included this cracking version of The Devil's In League With You. And there's more where that came from. But does anyone want to hear more? Well, you've gotta persuade me. I'm going to be a mean, mean man, and will give away a free CD of the whole session to the person who comes up with the best response to this, and indulges in the finest piece of one-upmanship in true Terry-Thomas/Ian Carmichael fashion. One of the heroes of The Enormity of Small Things, the sixth issue of Your Heart Out, was maverick music biz figure Miki Dallon who fitted neatly into the story via his time in the '60s with Strike Records through to the '70s and his Youngblood International label, and his work as Spaghetti Head on the great Funky Axe, and that great Christine Harewood record Finders Keepers salvaged a wee while back. Then there was his association with Beacon Records, where he penned the gorgeous Love Is Wonderful for Paula Parfitt - a perfect example of blue eyed soul to light up your life. This is a photo of Michael Head which was taken by a guy called Mick Parker who went to Liverpool for a few days in 1982 to try to catch up with some of these groups he loved, and he got to see the Pale Fountains at Plato's ballroom and hung out with Pete Wylie in the studio. He at least sent me some snaps which I've treasured ever since. I hope you followed our advice and subscribed to the Roger Eagle tribute co-ordinated by Jeff Barrett over at Caught By The River. They did a great job. And what came through loud and clear for me was the fact Eagle never seemed to be motivated by anything more than a desire to share his enthusiasms, be it r'nb or the blues or whatever. I wish there were more people like that. I am so sick and tired of people who want to promote themselves and get on. So while in the blogosphere, like everywhere else, there are comedians and careerists ("the end is nigh ... but in the meantime gimme a New Statesman column would'ya?") thank goodness there remain enthusiasts who seek to enlighten and illuminate by sharing lost sounds we may never otherwise hear. And trust me, when you're on the scrapheap that matters a lot. Posting music? It may be naughty, but it's more morally right than a rare record being locked away in a banker's vault as an investment! So when writing The Enormity of Small Things, I was able to refer to Laura Nyro cover versions by Melba Moore and Karen Wyman thanks to the great work by music lovers who take the time and trouble to share special works of art. I am humbly grateful for what they do. 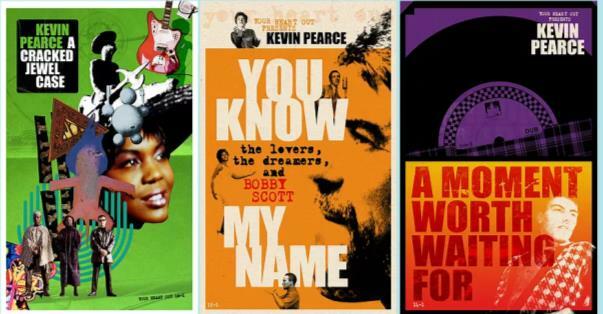 And if you don't know these records or these sites then you're in for a treat. And today definitely feels like a Laura Nyro day, so here she is singing Save The Country. And on a Dexys related note it would be inappropriate to omit the Fifth Dimension singing Wedding Bell Blues. Now I know there are killjoys out there who bemoan the fact that everything's too available now, and some of the magic is gone. I can understand that, but if that's the case how come I can't find the series of LPs the very wonderful Jean DuShon made in the mid '60s? Check mate! Now if there is an enduring legacy of the '79 resurgence of interest in the whole mod thing it is the education aspect. I remember getting into the Pretty Things because Robert Manton of the Purple Hearts often mentioned them, for example, so it's only appropriate to point you in the direction of the born again Purple Hearts playing live recently and in, erm, extraordinarily good form. Still think the Stone Roses totally ripped them off, but hey ho.